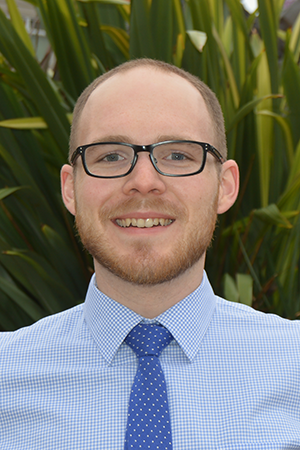 Nick Bleich is an Associate Engineer/Planner and provides both planning and traffic operation support on projects ranging from traffic impact analysis to active transportation projects. Nick is certified by the American Institute of Certified Planners (AICP). Nick joined W-Trans in 2016 from the US Department of Energy where he was serving as a Presidential Management STEM Fellow. He graduated from California Polytechnic State University, San Luis Obispo in 2015 with a Masters in City and Regional Planning specializing in Transportation Planning and an MS in Transportation Engineering. He also holds a BS in Civil Engineering from Seattle University. At the US Department of Energy he served as the Coordinator of the Workplace Charging Challenge, part of the White House’s EV Everywhere Grand Challenge, and worked to further the deployment of advanced vehicle technologies and improve nationwide fuel efficiency through automotive research and development. At W-Trans, Nick works on a wide variety of projects from Safe Routes to School walking audits to transportation impact analysis for General Plan updates. He enjoys using his knowledge of planning and engineering to develop multimodal transportation solutions that create a sense of place. Nick is a member of both APA and ITE.